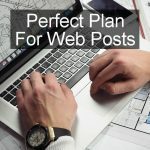 What is it that makes a good blog post or feature on a website? Follow this guide for the perfect post and avoid the pitfalls of poor content poorly presented. Build readers with quality. As you browse the web you will come across brilliant articles and some duds too. Some instantly grab your attention and hold it right through to the end while others you abandon only half way through. Why? There are many ways to create great blog posts or features for your website and there is not a single method that everyone uses. 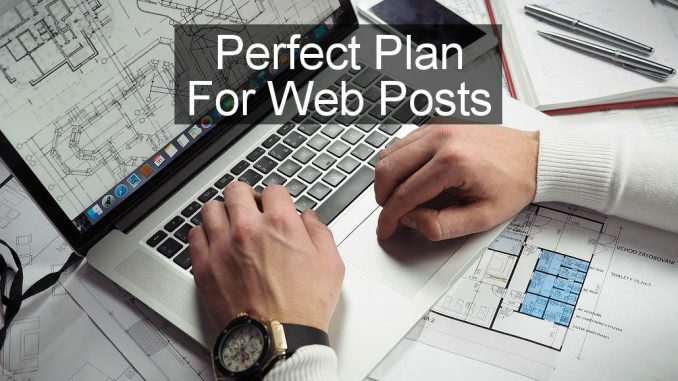 However, good posts often contain the same basic elements and by including them in your own posts you can give readers what they want and grow your visitor numbers. Here is a very simple illustration of the perfect blog post. This is not a rigid template and many variations are possible depending on the type of content being presented, but it is a good template for a typical post and it has all the essential elements. This is often displayed when a link is shared on Facebook, Twitter and other social sites. It can also appear in search results at Google and Bing. In fact, it might be the only thing people see, so make it grab people’s attention. Try to include a keyword for SEO purposes because it helps Google, Bing and others. It should also tell people what the post is about. Don’t do clickbait headlines but make them so that people want to read more. The heading can be any length, but Google and Bing show only the first 60 – 70 characters, so make them count. Text beyond 70 characters is less important. Try writing three post titles because the first one you think of is not always the best. Then look at them and use the best on the article, use the second best as the page title (SEO plugins let you specify a title for browsers to put on the tab), and throw away the worst one. It is common for posts to have a large featured image at or near the start and it has several purposes. Make it big but also make it relevant to the topic. 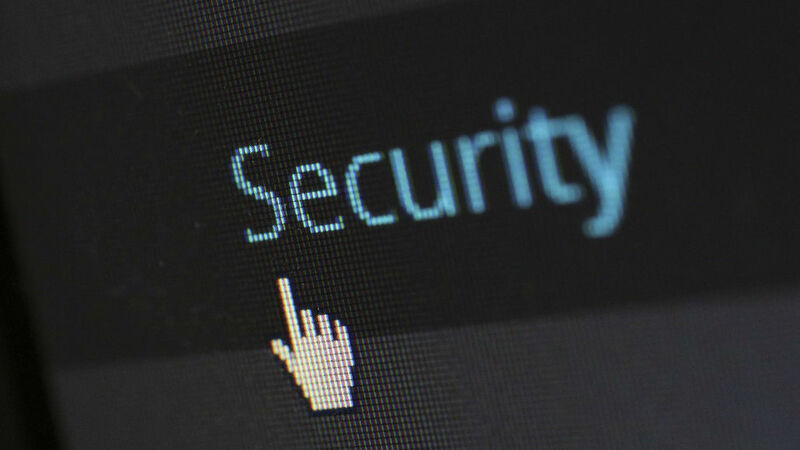 Be aware that when sharing a link to the page that it could be cropped and resized. Keep the important content in the middle of the image. If it contains text, keep it in the middle and make it large so when the image is shrunk to half or a quarter of its size, it can still be read. The first two or three lines are very important and they should explain what the article is about and why people should read it. For example, you could tell people how the article solves a problem, shows how to do something, what the reader could learn, and so on. Sometimes the first couple of lines are displayed in social shares or in search results, so bear this in mind and keep it short. Think of it as a sort of text advert that makes people want to read the rest of the post. Try to include keywords in the first couple of sentences because it helps with SEO. 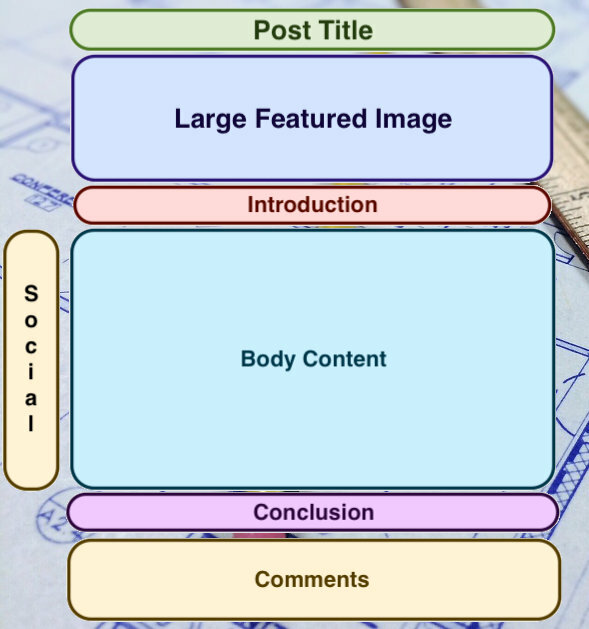 The body makes up the main part of the post and it should be long enough to cover the subject thoroughly. 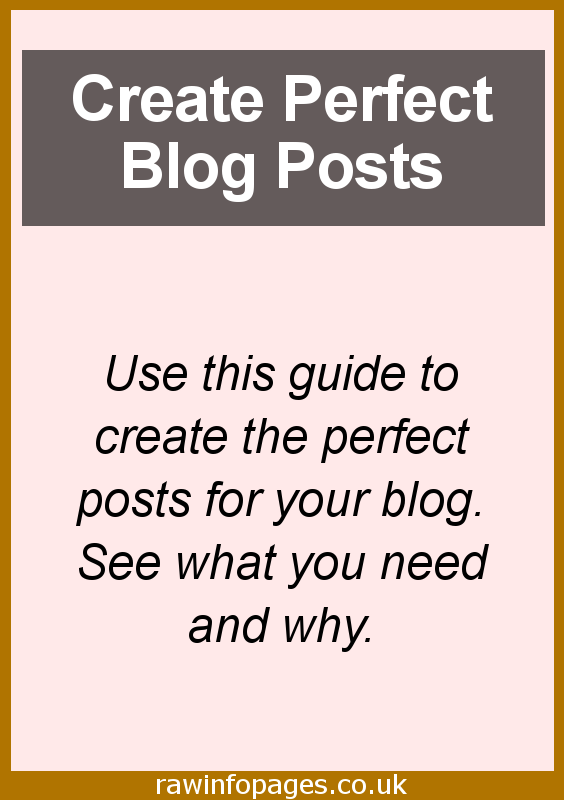 Longer posts do better than short ones generally but this does not mean you need to do 2,000+ word posts and some could be as little as 600 words. It depends on the subject. Just answer all the questions a reader might have. Do not make paragraphs too long. People find reading long paragraphs awkward. Remember that people access a lot of websites on mobile phones and a paragraph on your desktop computer or laptop could be very long on a phone’s screen. It might even fill the screen top to bottom with text. Do not make paragraphs too short. When used occasionally, short paragraphs, even just one sentence, are good and they get over a point. Sometimes you see this taken to an extreme level and the whole article is one sentence paragraphs. It does not look good and is awkward to read. Break up the text with pictures, bullet points, numbered lists, subheadings and quotes every couple of hundred words. Remember that people use phones and because of the limited screen width, you can end up with screen after screen of visually dull text. Break it up. Encourage people to share a link to your post on social networks by providing buttons. These should be large, colourful and easily found and readers should not have to hunt for them. Social buttons should not get in the way. View a post on your site on a desktop computer and on a phone and make sure they do not cover the text. Position them at the top, bottom or side. The left-hand side is a good place for them on desktop computers and a good plugin will automatically reposition them on a phone at the top or bottom so they don’t get in the way. Look in the left margin of this page for an example of sharing buttons. Posts do not always need a conclusion but often one is useful. Sum up what has been said in the article, what people have learnt or what they can do now that they could not do before. Reviews of products, services and other things do need a conclusion where you can summarise the pros and cons and tell people whether it is worth their money or time. The word ‘Conclusion’ does not need to be used, but a title of some sort is useful. The article could be a one-off original never been done before, but more likely there are other posts on your site that are related. Link to them somewhere in the article. Links near the top get seen and used more than links at the bottom, so make them high up. A widget to display related posts can automate this part of the perfect post and there are several to choose from. See How to show related posts links and thumbnails in WordPress posts. Comments on posts can be useful for encouraging discussion and getting other people’s point of view. 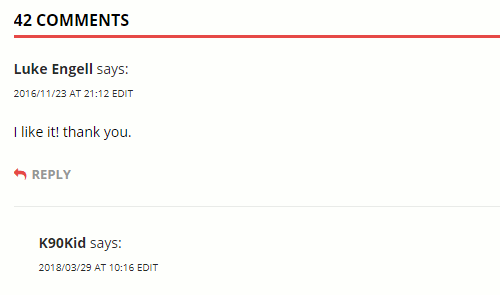 Comments encourage comments so they tend to grow. You do not need to reply to every comment but make sure you reply to any questions as quickly as possible. Spam comments work against you, so make sure you have an anti-spam plugin or configure WordPress to prevent spam. Get everything right and you should notice that people stay on your site longer and read more. This was very useful! Bloggers often forget the importance of adding a conclusion in the end, but it is definitely good to add.